It is extremely cold and windy today...BRRR!!! 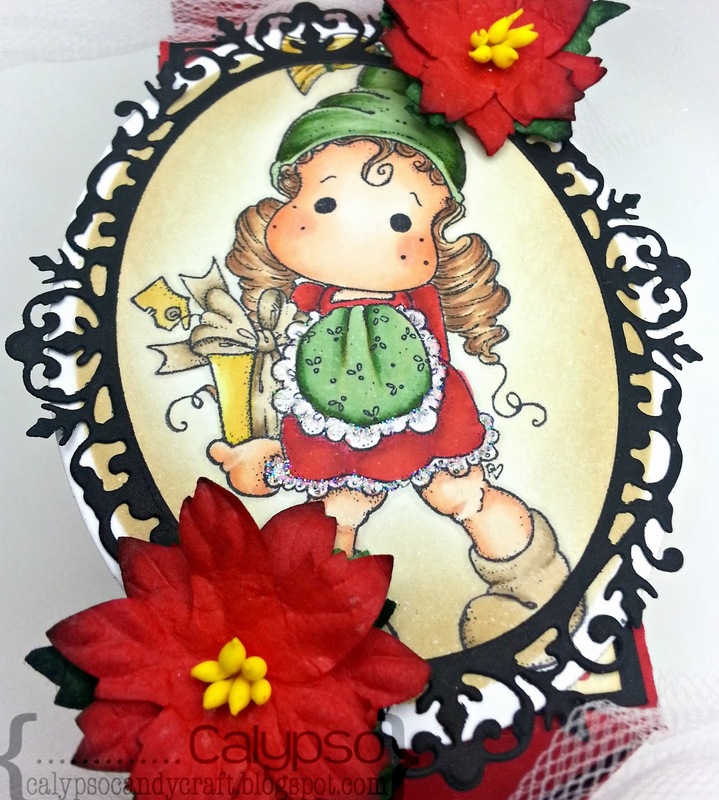 Today, Stamp and Create w/Magnolia has a new challenge for you. 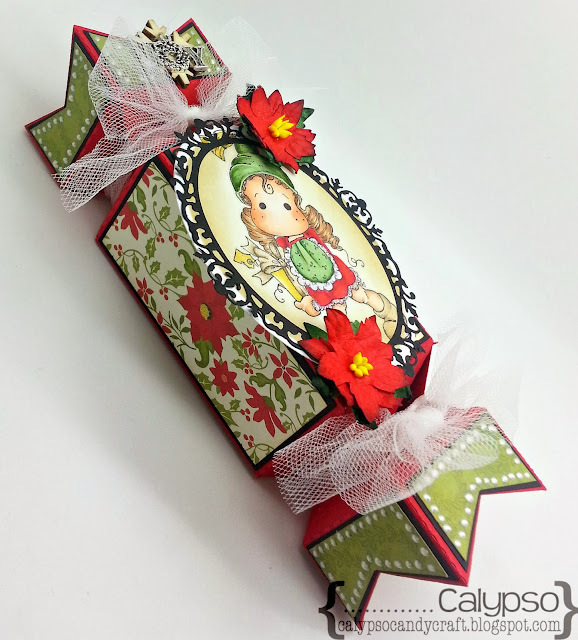 For my creation today, I am showing you my first attempt at a cracker box! I have seen these being made and I just love the idea. Not only that, the look is very unique and it really does make people ask....what is that?!?! Now, I didn't think the frame on top of the image would look good, but now that it's adhered, I think I like it very much!!! The black really ties all the colors together. I added tulle and tied it in a bow at both ends. Added a Maya Arts Wood Veneer snowflake, charm and poinsettia flowers, which are also on the patterned paper. Here is a close up in my darling Christmas Eve Tilda. She has been colored with Copics. 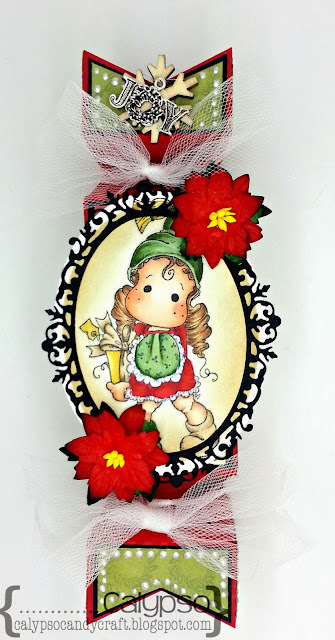 The white of her apron and dress have been shimmered up with Stardust glitter glue. The inside of the frame has been sponged with Antique and Walnut distress ink. So I hope you enjoyed my card and will pay us a visit. Gorgeous creation..Thanks for playing along with us at Totally Papercrafts this week. Great card. Thanks for joining our challenge at Brown Sugar. Good Luck.